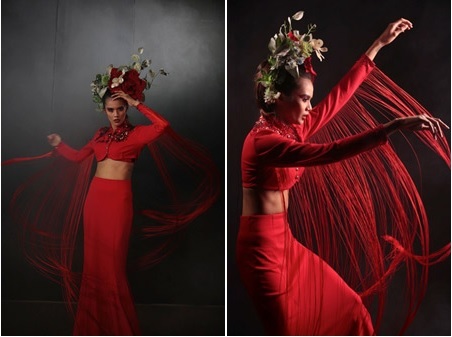 Fashion and portrait photography take the spotlight as Canon Marketing (Philippines), Inc. (CMPI) celebrates the 2nd Manila Photo Festival organized by Digital Photographer Philippines (DPP) in “Canon Pro Night: Fashion Revolution”. In tandem with famous photographers and Canon Crusaders of Light Ibarra Deri, Wesley Villarica, and Sara Black, the leading imaging and printing solutions provider demonstrates how fashion photography is brought to a new light with its diverse portfolio of lenses, accessories, and printers. During the Canon Pro Night: Fashion Revolution, Ibarra Deri shared his expertise in lighting and portrait photography. The highlight of the night was the Shoot Out between topnotch photographers Wesley Villarica and Sara Black. Skill and ingenuity were tested using the array of Canon cameras and accessories available, producing stunning images despite challenging settings. Meanwhile, the open shoot gave consumers free hand to try their knack on fashion photography with the available units and lenses ready to be tested, perfectly coupled with Canon printers that allowed them to bring home mementos of their best fashion shots. Guests were allowed to bid for the newest Canon products at the lowest prices in a Dutch auction. The participant with the oldest Canon camera was also rewarded with a new SELPHY printer. It was also announced that the Canon ImageNation site will be launched in mid-November. It is deemed to be a portal where all Canon users can find out about the latest imaging device of the brand, get tips and tricks to maximize the features of their device, engage with the Crusaders of Light, and even get exclusive treats and rewards from Canon. In addition to this, the EF Lens Simulator, a free app from Canon, is now available in Google Play and iTunes. This app is an interactive simulator that allows users to see and compare lens specifications of all Canon EF, EF-S, and EF-M lenses by using their mobile phones. Canon loyalists enjoyed treats and deals in Canon’s exclusive sale. They enjoyed P10,000 worth of rebate on select cameras and lenses while cameras were also on sale up to 70% off. Apart from going home with several prizes, the guests were able to enjoy the total imaging and printing solutions Canon offers that enable them to pursue their love for fashion photography, all under one brand.